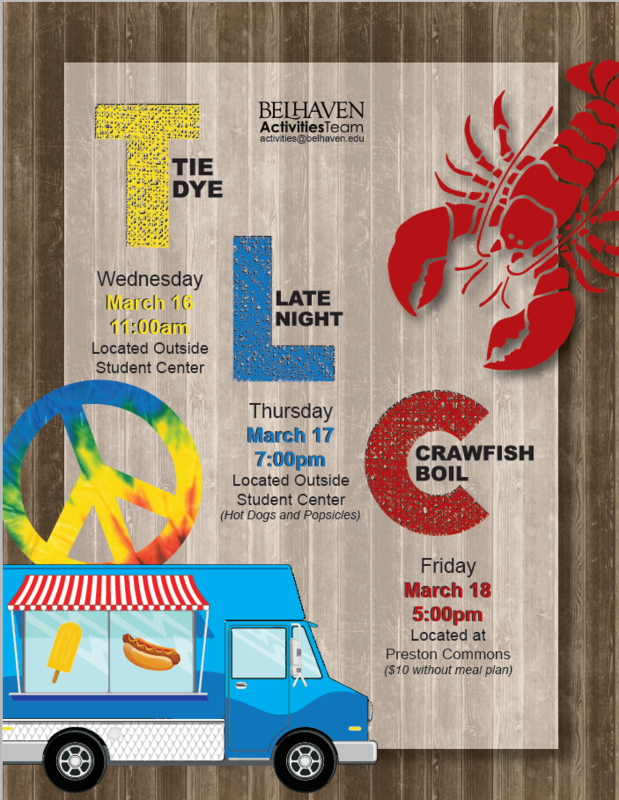 TLC is one of the biggest capstone events of the year. Students will enjoy three days of unique and exciting events. Tie dye – Custom design your own tie dye wardrobe from head to toe. Late night – Satisfy your late night food cravings with good junk food. Crawfish boil – Cap-off the week of fun with a campus wide crawfish boil on Preston Commons. Be sure to encourage your student to get connected and participate in these exciting campus events. For updates on other campus events be sure to check out our Events and Programming page. The news reports of the last week regarding the quality of Jackson water have been of concern. It was reported there were elevated levels of lead in the water at some homes tested in the city. The problem in our city appears to relate more to the home water lines in various parts of town, rather than the source of the water. The Mississippi State Department of Health confirmed that water tests from 22 percent of its 58-residence sample detected lead levels between 0.017 and 0.02 — above the federal action level of 0.015. The affected areas included 13 residences in southwest Jackson and north Jackson. For our University, we did not want to wait for government testing, so we went ahead this week and had our water analyzed by our chemistry department. Dr. Reid Bishop, Division Chair, School of Science and Associate Professor of Chemistry, directed the testing, and I’ve just received his positive report showing that we do NOT have any elevated lead in our water. We tested water in the dining commons and University Village, where students may be consuming higher levels of water because of cooking, but we also tested an academic building to assure consistent quality. Here is a summary of Dr. Bishop’s report regarding water quality on our campus. None of the samples we have tested have contained any trace of lead down to the 0.2 ppm level as determined by 3 separate tests using sample concentration by vacuum distillation to nearly 1000 times and using our x-ray fluorescence instrumentation in combination with dithizone/chloroform extraction and colorimetric assays. Using these combined techniques we can detect lead down to 0.2 ppm in lead standard controls so our negative result is legitimate and is NOT due to a false negative. The EPA definition of toxic lead is >15 ppm (0.015%) and chronic exposure levels found in the Flint, Michigan area were between 0.2-15.0 ppm. We are NOWHERE in that range and if there is any lead in there at all we cannot detect. We also looked for mercury, cadmium, chromium, and other metals in those same samples and there is no sign of anything in our water except normal amounts of typical metals like calcium and a very small amount of copper which I see only after concentrating the sample. All seem to be in normal ranges. This is a wonderful report that puts us at ease as we read these city news reports. I’m sure the water question will be an important topic for our city leaders for some time to come, and we pray they will find solutions to correct the problems at the homes that have pipes that allow lead into their water. Along with this good report, I would remind you that we have filtered water dispensers in many locations across campus and at our LeFleur campus, and several more are being added in the next few weeks to the Hood Library, Wells/Robertson, Wilson, and Cleland Halls. We encourage you to use these stations as they improve the quality and taste of the water. Also, we have confirmed that our dining commons kitchen only cooks with cold water, which is always recommended by professionals. We’d encourage those living in the University Village to do the same, as it is good practice regarding water use. And, water experts recommend that everyone runs the tap for a few seconds before using the water in order to clear out any sediment that comes between water uses. These are not unique recommendations to the water problem of Jackson, but are overall good practice patterns. I trust this report is reassuring to you. We will, of course, continue to test periodically and be vigilant to always assure our campus is safe in every way possible.